The Middle East Research Institute (MERI) is pleased to host a seminar on Tuesday 24, November 2015, from 9 AM to 12:30 lead by a group of international experts on women and conflict. This event is by invitation only, with 30 seats available. The seats will be allocated to those who RSVP. Members interested in attending the event should email: events@meri-k.org. Emeritus Professor Gill Hague, Center for Gender & Violence Research, University of Bristol; “Women and war: the fight of Kurdish women for peace and justice”. Taman Shakir, Journalist, “Media and war: the role of media during political crises”. Sophie Musset, Writer, “The role of Kurdish female fighters in the war against ISIS”. Dr. Nazand Begikhani, Center for Gender & Violence Research, University of Bristol, “Women and media: Cyber violence against women in Kurdish communities”. This event is organised in collaboration with the University of Sulaimani’s Gender & Violence Studies Center. ‘Women in Conflict’ Rebwar Saed. In the last few years, particularly since the emergence of the Islamic State of Iraq and Syria (ISIS), the Middle East has become the stage for many unprecedented political, military and human tragedies. Since the ISIS’s invasion of Mosul in June 2014, followed by their attack on Sinjar and expansion to Rojava, notably Kobane, Kurds in general and Kurdish women in particular, have stood on the frontline against terrorism. Through their ongoing resistance and fight against ISIS jihadists, women in Kurdistan have emerged as the main actors and symbols of combat against the most notorious terrorist group in recent human history. Women’s mobilization on the battlefield is complicated by and connected to their struggle at home and inside their communities in the face of patriarchy and structural violence. From Kobane to Diyarbekir, from Erbil to Sinjar and Sulaimani, from Sannadaj to Mahabad, they have been at the forefront of the fight against state violence, terrorist attacks and communal oppression and discrimination. 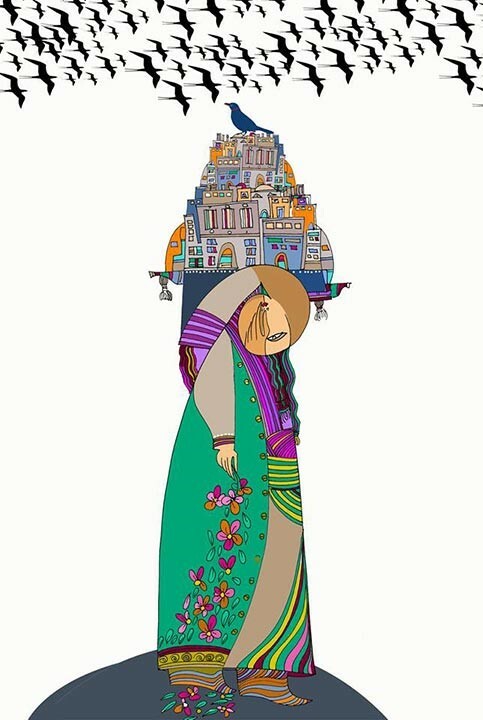 This seminar will reflect on the historic struggle of Kurdish women and the challenges they have faced in a world characterized by new forms of real and virtual violence.